This post will really be of great benefit to all those who have been facing a lot of difficulty locating Ntel stores and outlets closest to them. I will be listing all the available Stores in Lagos and Abuja, time they operate and also their addresses. 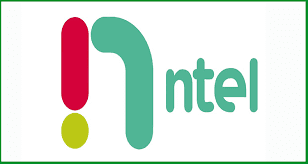 So for those of you who reside in other states most especially port Harcourt, you might still have to wait a little longer as Ntel have not yet announced any stores for those outside Lagos and Abuja yet. This first set of stores operates between the hours of 8a.m to 6p.m on weekdays and 8a.m to 5p.m on Saturdays/public holidays. ==> Plot 1221, Opposite Banex Plaza, Aminu Kano Crescent, Wuse II, Abuja. This second set of stores operates between the hours of 8a.m to 4p.m from Mondays to Fridays but are always closed on weekends and holidays. Heritage Bank, 33 Adetokunbo Ademola Crescent, Wuse II. This last store is opened from 8a.m to 9p.m from Mondays to Saturdays including public holidays and also opens from 8a.m to 6p.m on weekends.